Researchers at the University of Southampton have identified new markers of tuberculosis (TB) that may help in the development of new diagnostic tests and treatments. Published online in the Journal of Infectious Diseases, the study investigated the proteins that are released by a break down of the lung structure in TB patients. 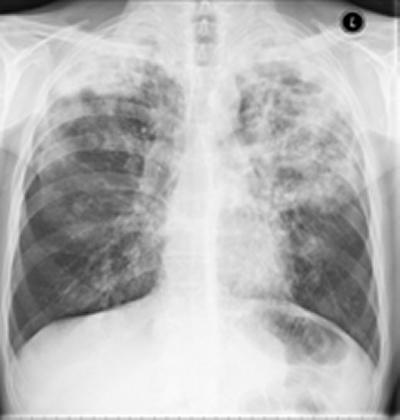 Lung damage causes both transmission of infection and mortality. They found that fragments released by break down of the lung’s key proteins (collagen and elastin), are increased in the sputum of patients with TB. They also discovered that one particular collagen fragment, PIIINP, was elevated in blood samples from patients with TB. Dr Paul Elkington, from the University of Southampton who led the study, believes that these new markers could be used to screen individuals and halt transmission between population groups. He says: “Tuberculosis continues to kill almost one and a half million people worldwide and is becoming increasingly resistant to drugs used to treat it. First-line TB tests and treatments in the developing world have not changed for over 30 years. The research was carried out in collaboration with Imperial College London and in South Africa at the University of Cape Town and the KwaZulu-Natal Research Institute for Tuberculosis and HIV (K-RITH) in Durban. It was primarily funded by the Wellcome Trust and K-RITH. The team are now investigating all fragments released by lung destruction to develop new test kits that can be done at the patient’s bedside.